What Do Banks and Cybersecurity Have in Common? Everything. New cyber-security threats require new solutions. New solutions require a project to implement them. The problems and solutions seem infinite while budgets remain bounded. Therefore, the challenge becomes how to identify the priority threats, select the solutions that deliver the best ROI and stretch dollars to maximize your organization’s protection. Consultants and industry analysts can help, but they too can be costly options that don’t always provide the correct advice. So how best to simplify the decision-making process? Use an analogy. Consider that every cybersecurity solution has a counterpart in the physical world. To illustrate this point, consider the security measures at banks. They make a perfect analogy, because banks are just like applications or computing environments; both contain valuables that criminals are eager to steal. The first line of defense at a bank is the front door, which is designed to allow people to enter and leave while providing a first layer of defense against thieves. Network firewalls fulfill the same role within the realm of cyber security. They allow specific types of traffic to enter an organization’s network but block mischievous visitors from entering. While firewalls are an effective first line of defense, they’re not impervious. Just like surreptitious robbers such as Billy the Kid or John Dillinger, SSL/TLS-based encrypted attacks or nefarious malware can sneak through this digital “front door” via a standard port. Past the entrance there is often a security guard, which serves as an IPS or anti-malware device. This “security guard,” which is typically anti-malware and/or heuristic-based IPS function, seeks to identify unusual behavior or other indicators that trouble has entered the bank, such as somebody wearing a ski mask or perhaps carrying a concealed weapon. concert with SIEM management solutions to serve as security cameras, performing additional security checks. Just like a bank leveraging the FBI’s Most Wanted List, these solutions leverage crowd sourcing and big-data analytics to analyze data from a massive global community and identify bank-robbing malware in advance. application monitoring solutions are the most common. 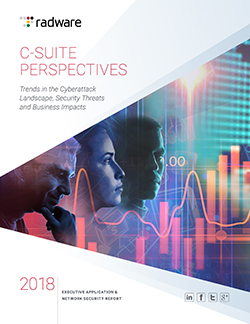 To understand how and why cyber-security models will have to adapt to meet future threats, let’s outline three obstacles they’ll have to overcome in the near future: advanced DDoS mitigation, encrypted cyber-attacks, and DevOps and agile software development. A DDoS attack is any cyber-attack that compromises a company’s website or network and impairs the organization’s ability to conduct business. Take an e-commerce business for example. If somebody wanted to prevent the organization from conducting business, it’s not necessary to hack the website but simply to make it difficult for visitors to access it. Leveraging the bank analogy, this is why banks and financial institutions leverage multiple layers of security: it provides an integrated, redundant defense designed to meet a multitude of potential situations in the unlikely event a bank is robbed. This also includes the ability to quickly and effectively communicate with law enforcement. In the world of cyber security, multi-layered defense is also essential. Why? Because preparing for “common” DDoS attacks is no longer enough. With the growing online availability of attack tools and services, the pool of possible attacks is larger than ever. This is why hybrid protection, which combines both on-premise and cloud-based mitigation services, is critical. Why are there two systems when it comes to cyber security? Because it offers the best of both worlds. When a DDoS solution is deployed on-premise, organizations benefit from an immediate and automatic attack detection and mitigation solution. Within a few seconds from the initiation of a cyber-assault, the online services are well protected and the attack is mitigated. However, on-premise DDoS solution cannot handle volumetric network floods that saturate the Internet pipe. These attacks must be mitigated from the cloud. Hybrid DDoS protections aspire to offer best-of-breed attack mitigation by combining on-premise and cloud mitigation into a single, integrated solution. The hybrid solution chooses the right mitigation location and technique based on attack characteristics. In the hybrid solution, attack detection and mitigation starts immediately and automatically using the on-premise attack mitigation device. This stops various attacks from diminishing the availability of the online services. All attacks are mitigated on-premise, unless they threaten to block the Internet pipe of the organization. In case of pipe saturation, the hybrid solution activates cloud mitigation and the traffic is diverted to the cloud, where it is scrubbed before being sent back to the enterprise. An ideal hybrid solution also shares essential information about the attack between on-premise mitigation devices and cloud devices to accelerate and enhance the mitigation of the attack once it reaches the cloud. Companies have been encrypting data for well over 20 years. Today, over 50% of Internet traffic is encrypted. SSL/TLS encryption is still the most effective way to protect data as it ties the encryption to both the source and destination. This is a double-edged sword however. Hackers are now leveraging encryption to create new, stealthy attack vectors for malware infection and data exfiltration. In essence, they’re a wolf in sheep’s clothing. To stop hackers from leveraging SSL/TLS-based cyber-attacks, organizations require computing resources; resources to inspect communications to ensure they’re not infected with malicious malware. These increasing resource requirements make it challenging for anything but purpose built hardware to conduct inspection. The equivalent in the banking world is twofold. If somebody were to enter wearing a ski mask, that person probably wouldn’t be allowed to conduct a transaction, or secondly, there can be additional security checks when somebody enters a bank and requests a large or unique withdrawal. Lastly, how do we ensure that, as applications become more complex, they don’t become increasingly vulnerable either from coding errors or from newly deployed functionality associated with DevOps or agile development practices? The problem is most cyber-security solutions focus on stopping existing threats. To use our bank analogy again, existing security solutions mean that (ideally), a career criminal can’t enter a bank, someone carrying a concealed weapon is stopped or somebody acting suspiciously is blocked from making a transaction. However, nothing stops somebody with no criminal background or conducting no suspicious activity from entering the bank. The bank’s security systems must be updated to look for other “indicators” that this person could represent a threat. In the world of cyber-security, the key is implementing a web application firewall that adapts to evolving threats and applications. A WAF accomplishes this by automatically detecting and protecting new web applications as they are added to the network via automatic policy generation. It should also differentiate between false positives and false negatives. Why? Because just like a bank, web applications are being accessed both by desired legitimate users and undesired attackers (malignant users whose goal is to harm the application and/or steal data). One of the biggest challenges in protecting web applications is the ability to accurately differentiate between the two and identify and block security threats while not disturbing legitimate traffic. Use common sense and logic. The marketplace is saturated with offerings. Understand how a cybersecurity solution will fit into your existing infrastructure and the business value it will bring by keeping yourorganization up and running and your customer’s data secure. 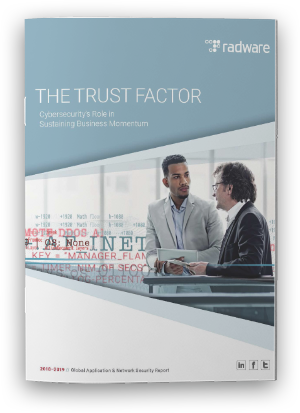 Understand the long-term TCO of any cyber security solution you purchase. The world is changing. Ensure that any cyber security solution you implement is designed to adapt to the constantly evolving threat landscape and your organization’s operational needs. Let me cut to the chase: The financial services industry is rapidly changing to satisfy its new best friend, millennials. There’s no getting around it; their sheer numbers necessitate attention. Millennials represent one in three Americans in the workforce, 25 percent of the global population (fun fact: there are more millennials in China than people in the United States! ), and have $200 billion in buying power. They are the largest single generation in the workforce today. And, most importantly for financial services, they are 43 percent of all mobile banking and finance usage. Indeed, millennials don’t value traditional banking like previous generations. Born into a digitally-connected era, they heavily rely on the Internet and smartphones to conduct their business, including managing their finances. According to research from Gemalto, more than one in four (27%) millennials have never even visited a bank branch. Comparatively, 77 percent use online services every month and many consider mobile banking “essential,” with nearly 40 percent reporting that financial apps help them control their finances. This becomes critically important in maintaining trust. Since they’ve never been to a branch, there are no people, no relationships to build loyalty. All trust, loyalty and affinity for the brand comes 100% from experience on the web and via mobile apps. Any breach here, and trust is broken…forever. And, it’s worth noting, millennials want financial help. Millennials grew up during the global financial crisis, so managing debt responsibly and avoiding risk is very important to them. A TD Bank survey designed to understand these young adults’ banking behaviors found that “while 59 percent of millennials reported that they are ‘extremely’ or ‘very’ knowledgeable about their day-to-day banking products like checking accounts, they still want advice on personal finance topics,” including savings, credit cards and creating a budget. In other words, millennials value tools and advice that give them control over debt and credit alike—which helps explain their reliance on fintech over traditional banks for financial advice and things like debt consolidation loans. In fact, millennials are driving a surge in personal loans, 36 percent of which are from fintech lenders. All these statistics converge to make one key point: While there is a huge opportunity for fintech providers to capture market share and growth, there is also sizable risk. Why? Because data security is top of mind for these so-called “digital natives.” They understand the liabilities of trusting organizations, like financial institutions, with their online data and expect that it will be well guarded 24/7 with no lapses. If it isn’t? say goodbye to your millennial customer base; millennials are 2.5 times more likely to change banks than their older counterparts if they aren’t pleased. And one surefire way to keep them happy is with a secure mobile and/or online customer experience. After all, the number one tool millennials want is better mobile security for financial transactions. Don’t risk losing the most connected, powerful consumer demographic because of lax security. The guaranteed fallout—customer attrition, reputation loss and more—simply isn’t worth the risk. Proactively securing a secure customer experience is paramount to maintaining a competitive advantage and capturing the trust of your most important customers. Read “The Millennial View on Data Security” today. Organizations have long embraced the customer experience and declared it a competitive differentiator. Many executives are quick to focus on the benefits of a loyal-centric strategy and companies now go to great lengths to communicate their organization’s customer centricity to retain existing customers and attract new ones. But where is cybersecurity in this discussion? Recently Italian bank Unicredit suffered two security breaches. Data of 400,000 customers was stolen, including loan account numbers and Personally Identifiable Information (PII). There is a suspicion the breach had to do with interaction with a 3rd party. This incident is the latest reported in a long history of cyber-attacks against financial institutions. Every hack however, can teach us a lesson. I recently contributed another column to Security Week about attackers launching attacks over HTTPS more than ever before. With an increased level of encrypted traffic on enterprise networks, attackers are taking advantage of this blind spot within the organization’s security model. Social Media services and online financial services have become targets. Most will employ different layers of defense for an encrypted attack. However, this approach will not be effective if an attack included an availability-based threat vector such as Denial of Service attack or zero-day advanced threats. This is because processing an encrypted attack consumes more system resources than processing non-encrypted data. As a result, an attacker is able to make a big impact even at relatively low rates of requests per second. The solutions that can decrypt the traffic can only detect the known low rate attacks rather than the unknowns (zero-day). To really help mitigate an attack such as this, a network needs to include another layer which is the network wide attack protection. I share my thoughts on what an organization needs in order to successfully handle these threats and invite you to read this column to learn more about it. You can also tweet about the column to share it with your followers.